This interrupted case study begins with the construction of a pedigree following an initial encounter with a clan of “blue people.” After constructing a pedigree, students decide whether the condition (methemoglobinemia) is a heritable trait. Students are then exposed to a different perspective of this condition and have to re-evaluate the inheritance pattern. 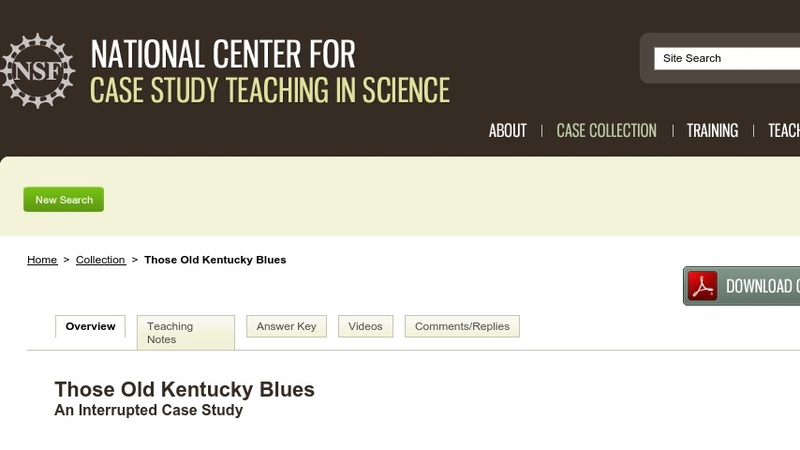 This case study was written for a first year honors course in general biology. It could be modified for most general science majors’ biology, genetics, biochemistry, and cell biology courses.